Stacey Cunningham will replace Thomas Farley to become the 67th President of the Big Board. 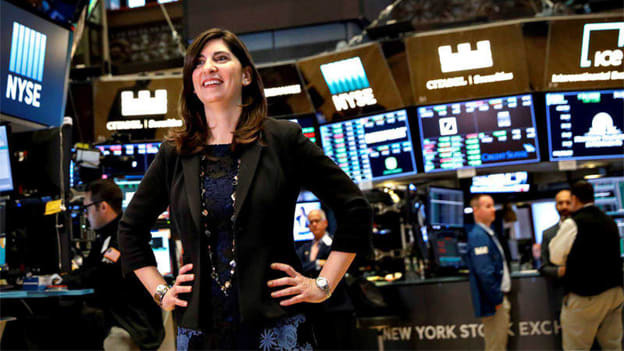 Back in 1994 when Stacey Cunningham joined the New York Stock Exchange as summer intern, she was one of the few women taking up a career primarily dominated by men. Today, in 2018, she continues to redefine the rules of corporate as she becomes the President of NYSE. It is a remarkable event in the history of the exchange because this is the first time in 226 years that NYSE will be led by a woman. Stacey Cunningham brings with her a lot of knowledge and years of experience. With a degree in industrial engineering from Lehigh University and a sound experience in finance, she is ready to take on the leadership of NYSE. 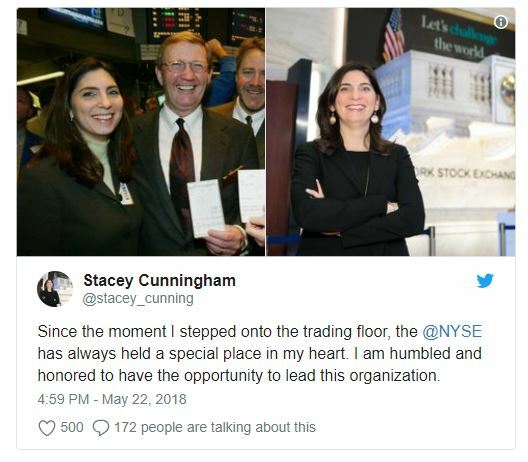 Stacey Cunningham has been working as Chief Operating Officer in NYSE since 2015 and has experience in managing the company's cash equities markets, relationship management, product management, and governance services. She has been with the exchange for most of her career. In the beginning she interned as a trader on the floor. Then, from 1996 to 2005 she worked at the exchange as a floor specialist for Banc of America Specialist Inc.. Later, she joined NASDAQ as an executive and worked there for some years until 2012, when she joined NYSE again as COO. In NASDAQ, she started out as the Director of Capital Markets in March 2007 and was eventually named head of sales for U.S. transaction services in August 2011. Stacey Cunningham will replace Tom Farley, who’s leaving the company and take on the new role from 25th May 2018, Friday. Interestingly, in early 2017 Adena Friedman became the CEO of NASDAQ and with Stacey's appointment the two of the world's most well known exchanges will be led by women. Both of them have constantly emphasized on the need of more female leaders in the financial industry. Now, together they continue to lead by example, inspiring women to think beyond the glass ceiling.